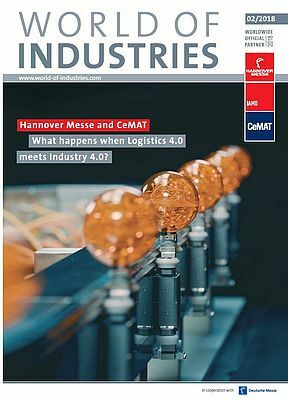 HANNOVER MESSE AND CEMAT IN THE "WORLD OF INDUSTRIES"
WORLD OF INDUSTRIES with its second issue focuses on HANNOVER MESSE, the world’s leading trade fair for industrial technology, and CeMAT, the world's leading trade show for intralogistics & supply chain management. So, what happens when Logistics 4.0 meets Industry 4.0? Find the answer in the new issue of WORLD OF INDUSTRIES 2/2018 with additional multimedia content for free.